Capitol Hill is the most prestigious address in Washington, DC and the political center of the nation’s capital with the Capitol Building set atop a hill overlooking the National Mall. Members of Congress and their staff, lobbyists and journalists live on Capitol Hill as well as others who can afford the steep prices of real estate here. Capitol Hill is the largest residential historic district in Washington, DC with many of its 19th and 20th-century row houses listed on the National Register of Historic Places. Union Station is located nearby providing plenty of options for shopping and dining. Capitol Hill is located north of the Washington Navy Yard, east of Judiciary Square and Penn Quarter, south of Union Station and west of the Southeast Waterfront. See a map of Capitol Hill. Metrobus Routes: 30-36, 91-97, X8 and D6. Street parking in the area is extremely limited. The parking garage at Union Station has more than 2,000 spaces. Access is available 24 hours a day. 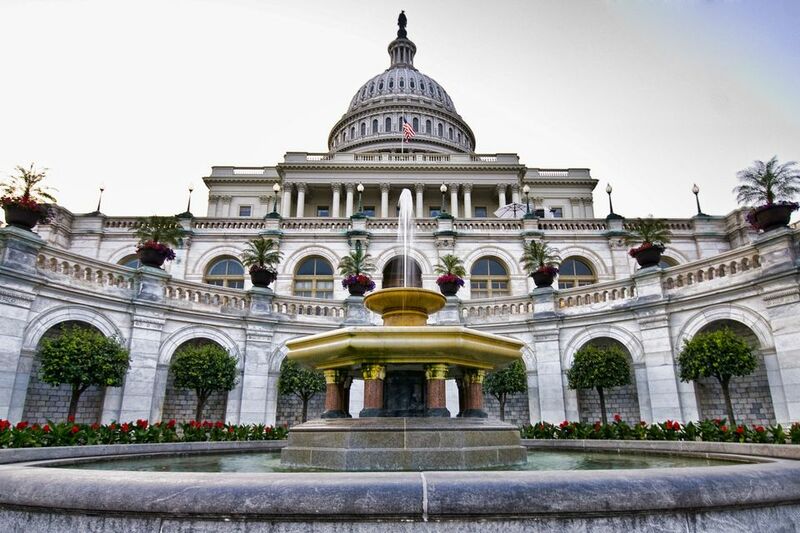 U.S. Capitol Building - The cornerstone of the neighborhood, the Capitol is home to U.S. Congressional offices. Visitors can take a tour of the building and learn about the legislative branch of government. U.S. Botanic Garden - The gardens are a year-round attraction with an indoor conservatory featuring a variety of plants and flowers. The Supreme Court - The highest court in the country is located on Capitol Hill and is open for visitors Monday through Friday. The Library of Congress - The world's largest library is one of the city's most gorgeous buildings and is open to the public with exhibits, lectures, films and special events. Union Station - DC's train station serves as a transportation hub and shopping and dining venue. Eastern Market - The city's oldest market is a prime place to buy fresh produce and more. Folger Shakespeare Library & Theatre - The national landmark building offers a variety of public programs. Navy Museum - The museum pays tribute to the contributions of the U.S. Navy. Sewall-Belmont House and Museum - The historic house and museum is dedicated to the U.S. women's suffrage and equal rights movements. Smithsonian National Postal Museum - The museum tells the history of the U.S. Postal Service with a variety of hands-on exhibits and activities. The Capitol Hill neighborhood has 59 inner-city parks. These triangles and squares were designed by Pierre L'Enfant, the French-born urban designer who designed the basic plan for Washington, DC. The parks provide an urban green space giving residents and visitors a nice place to enjoy the outdoors. All of the parks are located between 2nd Streets NE and SE and the Anacostia River. See a map. Folger Park - 3rd & D Sts., SE Washington, DC. This is one of the largest parks in the Capitol Hill area and was named after Charles J. Folger, Secretary of the Treasury in the administration of Chester A. Arthur. Folger Park is located in a quiet residential area. The park has a unique “fountain bench” and one thousand ornamental trees. Lincoln Park - East Capitol and 11th Sts, NE Washington, DC. Also referred to as Lincoln Square, the 7-acre park features monuments to two important historical figures: President Abraham Lincoln and Civil Rights Activist and Educator Mary McLeod Bethune. Located directly east of the United States Capitol Building, the park provides a special setting for many events and commemorative activities. Marion Park - E St. and South Carolina Ave. NE Washington, DC. Named after soldier Francis Marion from South Carolina during the Revolutionary War, this park dates back to the original plans for the city in 1791. There are a variety of trees and a playground. Stanton Park - 5th and C Sts. NE Washington, DC. With four acres, Stanton Park is one of the larger Capitol Hill Parks. Although the park is named for President Lincoln's Secretary of War Edwin Stanton, the statue at the center of the park depicts revolutionary war hero General Nathanael Greene. The statue is surrounded by formal walkways, flower beds, and a playground. Capitol Hill has many great restaurants where on any day you may rub elbows with a Senator or Member of Congress. See a guide to the best restaurants on Capitol Hill. Hotels in this area provide luxury accommodations and are walking distance to Washington, DC’s most popular attractions. They are busiest during the week and usually less expensive on the weekends. See a guide to Capitol Hill Hotels.